At least second class master degree in Science / English. M.Ed will be preferred. At least 5 years experience of working at a similar post, in addition 7-10 years of teaching in a well reputed institution. Must be confident, dynamic and energetic with excellent communication skills. Maximum age limit 52 years. For further queries, contact college secretary office on Tele number 48503832. Application along with attested copies of testimonials are to reach the college by 25th October, 2018. 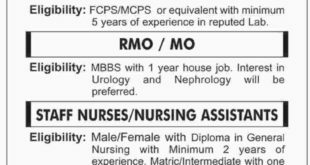 Both male and female candidates with masters degree (1st and 2nd division) in relevant subject preferably with 3-5 years teaching experience in well reputed Institute. 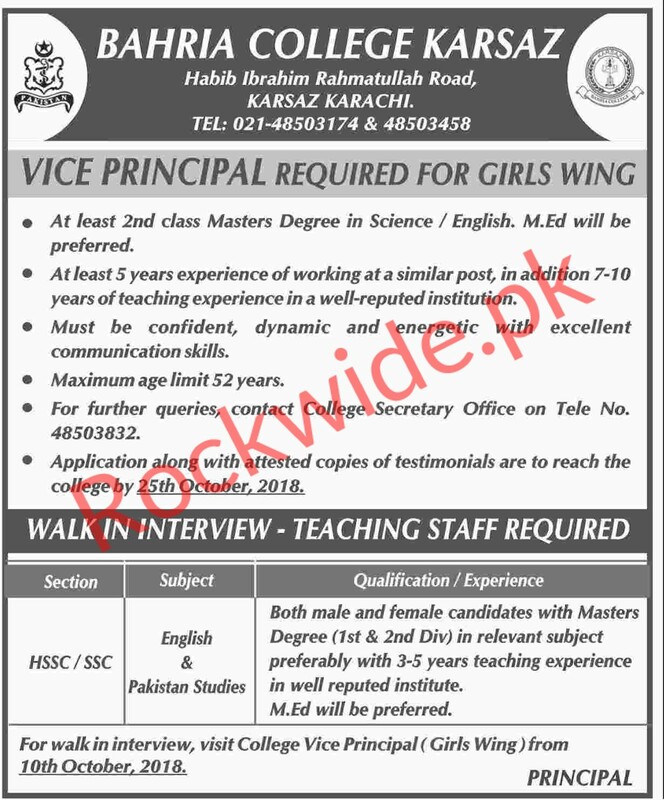 For walk in interview, visit college Vice Principal ( girls wing) from 10th October 2018.